Lawmakers gave first-round approval March 21 to a bill that would authorize the state Department of Transportation to increase highway speed limits. 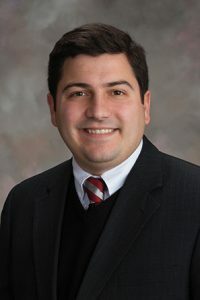 LB1009, introduced by Gretna Sen. John Murante, would authorize the department to increase the maximum speed limit from 60 mph to 65 mph on any four-lane divided highway that is not a part of the state highway system and any part of the state highway system other than an expressway or freeway. South Dakota recently adopted a higher speed limit, Murante said, which led to a 13 percent decrease in traffic fatalities that can result from large speed differentials between drivers. Speeds would increase from 65 mph to 70 mph on expressways that are part of the state highway system and freeways that are a part of the state highway system but not part of the National System of Interstate and Defense Highways. Inconsistency in speed limits on substantially similar highways creates confusion and dangerous driving situations, said Gothenburg Sen. Matt Williams in support of the bill. North Platte Sen. Mike Groene also spoke in support of the bill, saying it would allow commercial vehicles to travel more efficiently through the state. Opposing the bill was Thurston Sen. Joni Albrecht. Increased speed limits would be dangerous, she said, particularly in rural areas where passenger vehicles must frequently share the roads with large farm equipment. Papillion Sen. Jim Smith introduced an amendment, adopted 34-1, that removed a provision in the original bill that would authorize the department to increase the interstate speed limit from 75 mph to 80 mph if a traffic and engineering study would support such a move. He said increasing the interstate speed limit between Lincoln and Omaha would save less than three minutes of driving time for the average passenger vehicle. Additionally, increasing the speed limit would create an unsafe speed differential between passenger and commercial vehicles, Smith said, which often drive no faster than 65 mph on the interstate. Following the adoption of a technical Transportation and Telecommunications Committee amendment, senators advanced the bill to select file on a 35-2 vote.